As the date of Nokia 8 launch is nearing, we are getting more information about the device. Now we’ve witnessed the premium handset in a new avatar. The ever reliable leakster Evan Blass (@evleaks) has posted on his Twitter account new front and rear images of the Nokia 8 smartphone in silver color. This silver color is also speculated to be called as the ‘Steel’ variant of the Nokia 8. There is no difference in the design when compared to earlier images. On the front, we can see the home button which might also work as a fingerprint sensor. There are two capacitive buttons apart from the physical home button. At the rear, there is Nokia branding, a dual camera setup with led flash and a noise canceling sensor. Some other specifications of Nokia 8 emerged earlier suggests that the handset will feature a 5.7 inch large 2K display, powered by a Qualcomm Snapdragon 835 Octacore-SoC, dual SIM-card slots and 64 GB onboard storage. 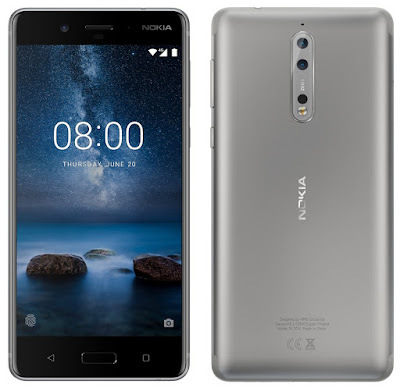 Couple of months earlier, Nokia launched three budget handsets namely, the Nokia 3, Nokia 5 and the Nokia 6. 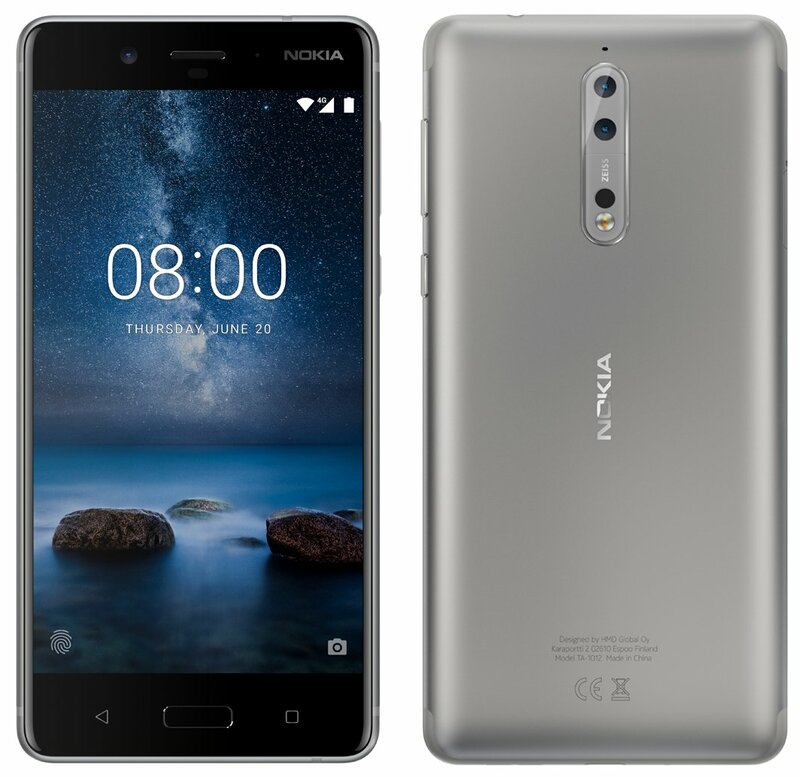 The Nokia 3 comes with a 5-inch HD display, runs Android 7.0 Nougat and powered by a 1.3GHz quad-core MediaTek 6737 processor. It features 16GB of inbuilt storage, expandable up to 128GB and wears an 8-megapixel camera on both the front and back. The Nokia 5 features a 5.2-inch HD display, comes with 16GB inbuilt storage which also supports expandable storage via microSD card (up to 128GB), and driven by the Snapdragon 430 processor clubbed with 2GB of RAM. The Nokia 6, on the other hand, comes with a 5.5-inch full-HD 2.5D display protected with Corning Gorilla Glass. There is a fingerprint sensor in the home button, the internal storage is 32GB that further supports a microSD card up to 128GB. It is powered by a Snapdragon 430 SoC coupled with 3GB of RAM.